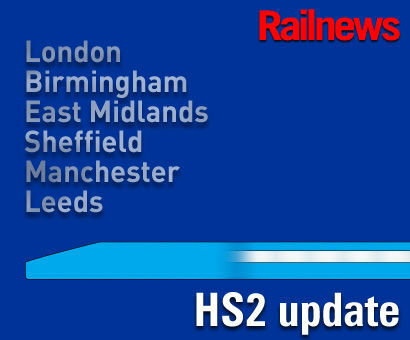 TRANSPORT secretary Chris Grayling is being urged to commission an independent report about the costs of HS2 from the Infrastructure Projects Authority. Critics are increasingly voicing fears that official estimates are seriously flawed, even allowing for a 35 per cent contingency allowance, because the full scope of the work is still unconfirmed. Tony Berkeley, a consistent critic, is claiming that experience with the spiralling costs of electrification has cast the official HS2 calculations increasingly into doubt. He is supported by consultant quantity surveyor Michael Byng, whose methods of forecasting the budgets needed for major projects have won increasing respect within the industry, particularly after he created the method now used by Network Rail to cost its projects in the wake of major overruns. Mr Byng has prepared a 4000-page document analysing the costs of HS2. After his advice had been requested by the Department for Transport, he concluded that the true cost of Phase One between London and Birmingham is likely to be at least £50 billion, compared with the latest official figure of £24.3 billion. This includes a one-third contingency allowance but not the cost of new high speed trains. The cost of the whole scheme, including the extensions to Manchester and Leeds, is now said to top £100 billion. Lord Berkeley remains unconvinced. He has told the transport secretary: “The amount of contingency allowed at different stages of a project must reflect the amount of detail available in the design at that time, if significant cost overruns are to be avoided. My worry is that the scope of the work should have been known at this stage in sufficient detail to be able to provide a reasonable cost estimate … the evidence we have heard not only from contractors and local authorities but also from HS2 people themselves clearly points to a serious lack of understanding of the final scope, let alone the costs.